Dozens of protesters gathered outside the Albanian Embassy in the northern Athens suburb of Filothei on Sunday evening to protest the killing earlier in the day of an ethnic Greek man in the village of Bularat, some 6 kilometers from Albania's border with Greece, earlier in the day. Traffic was backed up on Kifissias Avenue due to the protest, which was organized via social media by Greek-Albanian groups and the far-right Golden Dawn party. 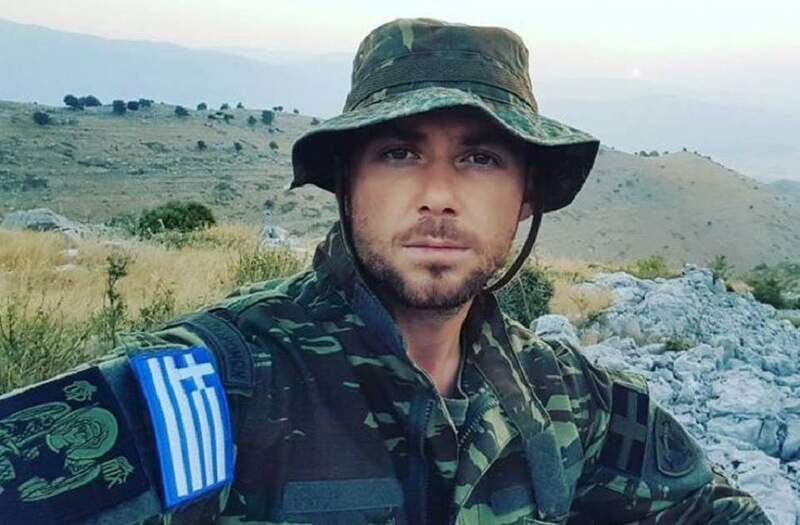 Konstantinos Kacifa (Katsifas in Greek), 35, was killed after reportedly opening fire against officers with a Kalashnikov assault rifle as they were taking down a Greek flag he had raised at a cemetery for Greek soldiers who died in battle. The incident took place as the village marked the anniversary of Greece's entry into the war in 1940. The Greek Foreign Ministry issued a statement after Kacifa's killing was confirmed, calling on Albanian authorities to investigate the incident thoroughly. Kacifa, whose family hailed from the northwestern Greek town of Ioannina, was born and grew up in Bularat but had been living in Athens recently, according to reports. Photographs from social media show him dressed in military-style clothes, with a Greek flag patch on his arm. Reports have also suggested that he fostered extreme nationalist sympathies.